Eight years after receiving a gift of 300 paintings and prints by James McNeill Whistler, the Waterville museum puts 70 on view and hosts a symposium of Whistler scholars. This week, the art-viewing public gets to see the source of Corwin’s excitement. For the first time, the museum is showing a wide selection of Whistler images gifted to Colby in 2007 as part of the Lunder Collection of American Art, which includes more than 300. About 70 works, including prints, paintings, watercolors and works in other media, make up the “Whistler and the World” exhibition. The museum has shown Whistlers before, but not as many as it will this fall, and certainly not with the same scholarly scope. Whistler is one of America’s most famous artists and also one of its best known exports to Europe. “Whistler and the World,” which opens Thursday, explores the artist’s career in relationship to the world around him, as an urban artist, through his interest in water as a recurring motif, his self-perception and his role as an artist, and his technical skill with his use of color, texture, line and form. A related exhibition at Colby puts Whistler in context with European and American art movements by showcasing art made during Whistler’s time, his influences and the artists he influenced. The two exhibitions provide a platform for a Whistler symposium the college will host in October, and they culminate many years of study and preparation associated with the Lunder Collection. “This is one of the great collections of Whistler works in the world, and this is the first time we’ve mounted a comprehensive exhibition from the collection,” Corwin said. The timing is good for Colby. Whistler, an American painter who spent most of his life in Europe, is having one of those art-world moments right now, with renewed interest in his work and attention to his life. 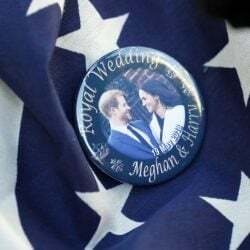 The past year has seen the publication of a new biography, a PBS documentary and many exhibitions. Born in Lowell, Massachusetts, Whistler lived from 1834 to 1903, and is best known for a portrait of his mother, a sad, gray masterpiece that permanently resides in Paris. The portrait, formally known as “Arrangement in Grey and Black, No. 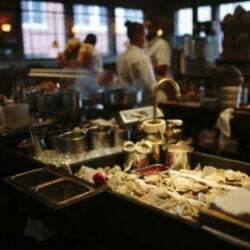 1,” is considered the most important American art work outside the United States. It is not part of the Colby exhibition, though the painting is temporarily on view nearby at the Clark Art Institute in Williamstown, Massachusetts, but only for another week. 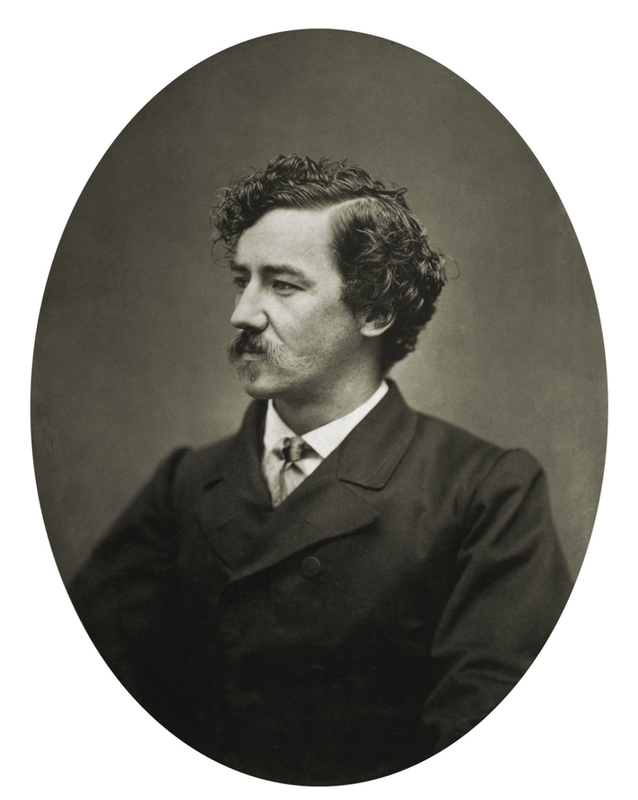 Unlike many of his contemporaries who became well-known posthumously, Whistler was famous in his day. He embraced celebrity and enjoyed the status of artists in a cultured society and all that came with it, including women and a social lifestyle. After failing at West Point and in other jobs, he moved to Paris to join the ranks of Courbet, Monet and Degas. 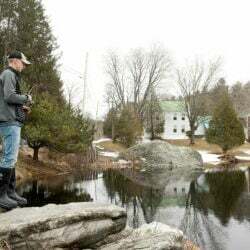 The Colby show consists entirely of work that has come to the college as a gift from Peter and Paula Lunder, Maine philanthropists with ties to central Maine and Colby. 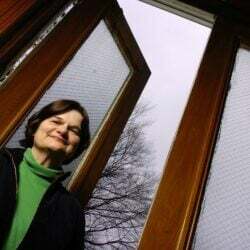 Including the work of other artists, they gave more than 500 works of art to Colby in 2007, and in 2010 the museum opened a new wing to help accommodate the gift. The gift also created the Lunder Consortium for Whistler Studies, a four-museum effort that includes the Art Institute of Chicago, the Freer Gallery of Art and Arthur M. Sackler Gallery of the Smithsonian Institution, and the University of Glasgow. Along with Colby, those museums hold the largest and deepest collections of Whistlers. The consortium presents the two-day Whistler symposium at Colby, Oct. 14-15, during which eight Whistler scholars will discuss the artist’s life and career, with a focus on his example as an American artist working abroad. The symposium is free and open to the public. Visitors to Colby will get a broad view of Whistler’s work, said Justin McCann, the Lunder Consortium for Whistler Studies Fellow. A doctoral student in art history at Rutgers University and full-time curatorial fellow at the Colby museum, he curated the exhibition. For the past two years, he’s been working hands-on with the Colby collection, looking at each print or painting and deciding which among the 300 to include in the exhibition. In addition to paying attention to the quality of the work itself, McCann made decisions based on the narrative of an individual image and how it helps place Whistler in the larger world of the late-19th century. He chose Whistler because of the role the artist played in bridging 19th-century America and Europe. That’s what he hopes people will take away from the exhibition. Rather than arrange the show chronologically – that’s been done many times – McCann broke it into four sections: Whistler’s work as an urban artist; his career-spanning interest in water, and in particular his scenes from the canals of Venice and the Thames River of London; his perception of himself as an artist and the artist’s role in society; and finally, his technical skill. Visitors will experience Whistler’s world through his hands and eyes. 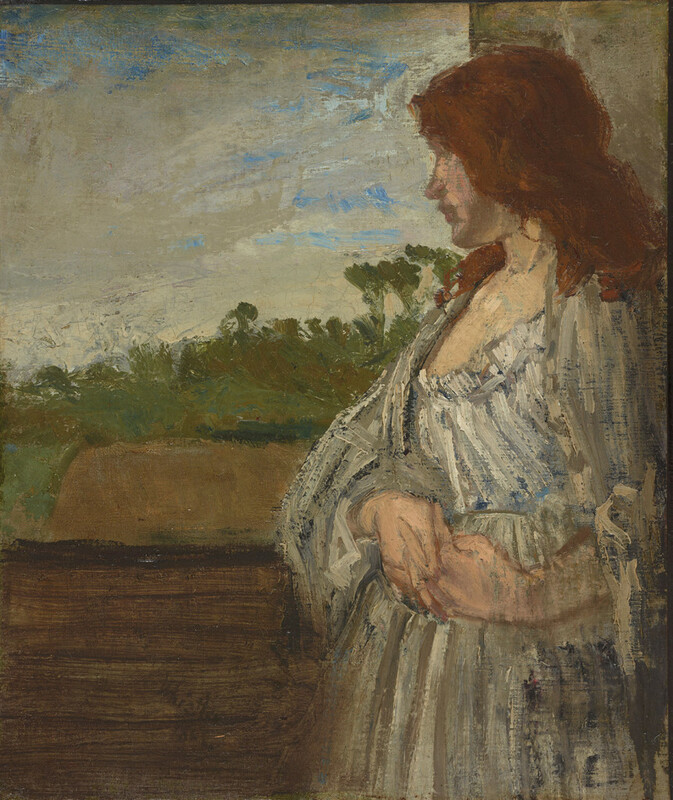 “A White Note” is an oil portrait of a young woman with flowing red hair and a white dress, standing in the doorway looking out on her yard or garden. 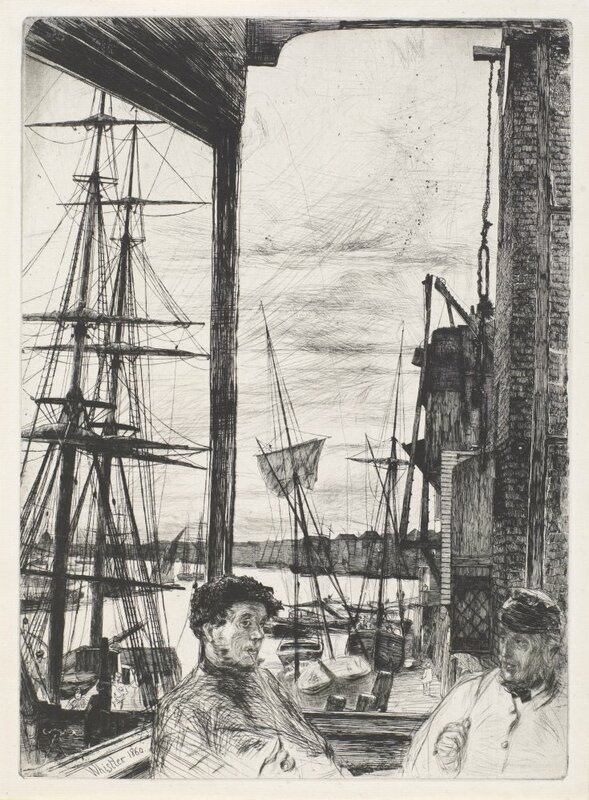 “Wapping,” an etching, depicts two old salts, presumably fishermen, talking while overlooking the harbor, with masts rising in the near background. 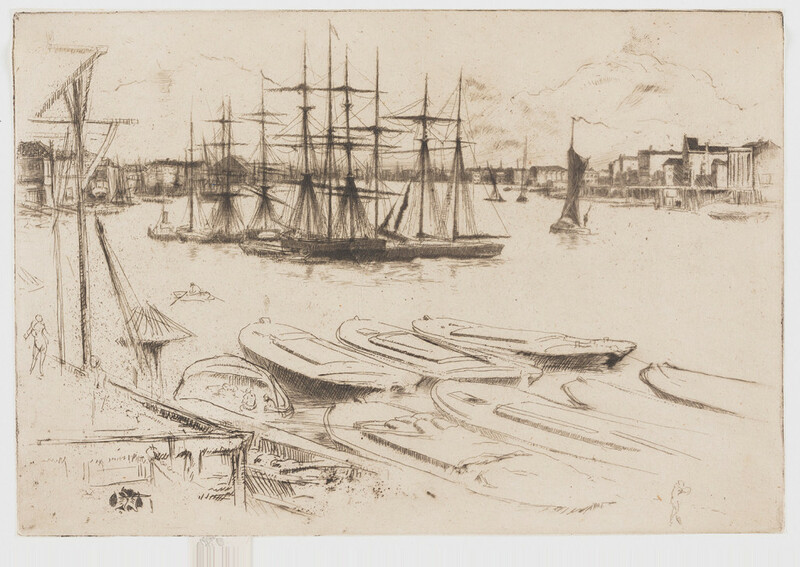 “The Thames” is a gray print of the London river, with the city and its industry rising in the distance. The boat forms are soft and indelicate, and suggest plodding movement down a river crowded with activity. 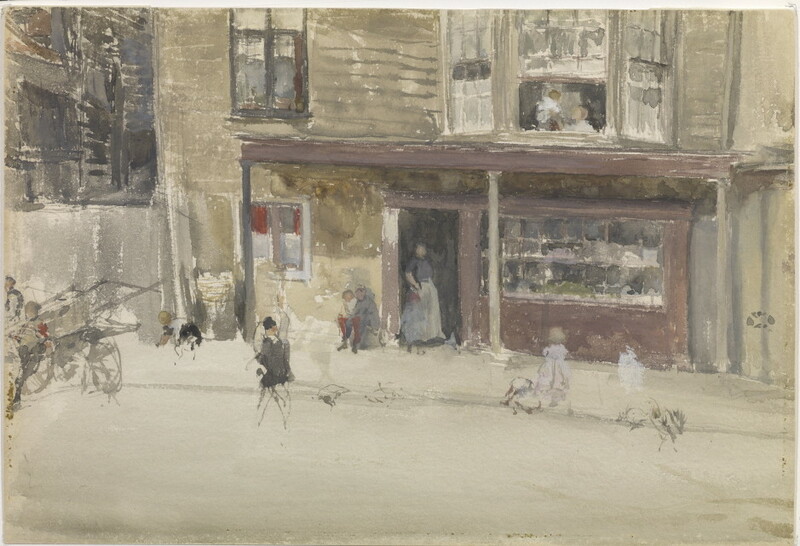 “The Shop,” a watercolor and pencil painting, shows the bustle of a city street, with a shopkeeper standing in the door appraising the activity. McCann called attention to two works in particular. 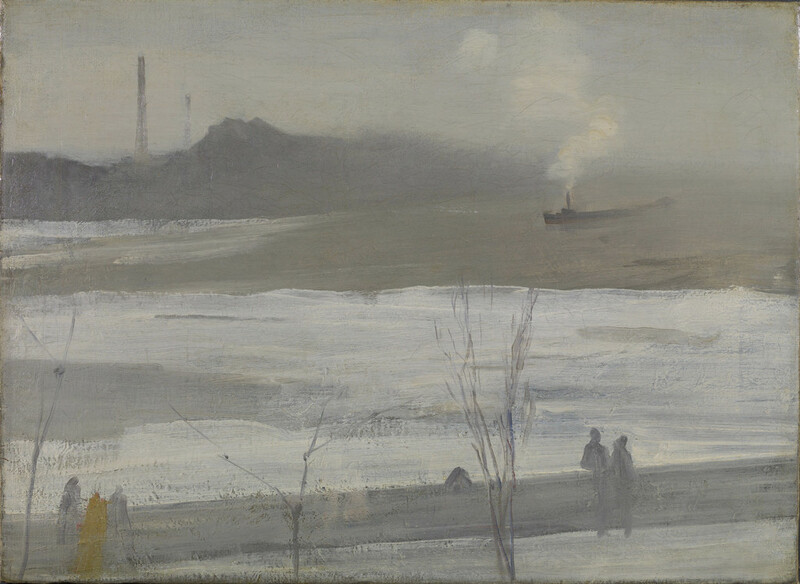 “Chelsea in Ice,” an oil painting from 1864, illustrates the artist’s investigation into the wintry conditions of the river and Whistler’s play of color and form to create those effects. This painting captures Whistler’s dialogue with both naturalism and abstraction, McCann said, and in many ways forms the foundation of his more mature work that followed. 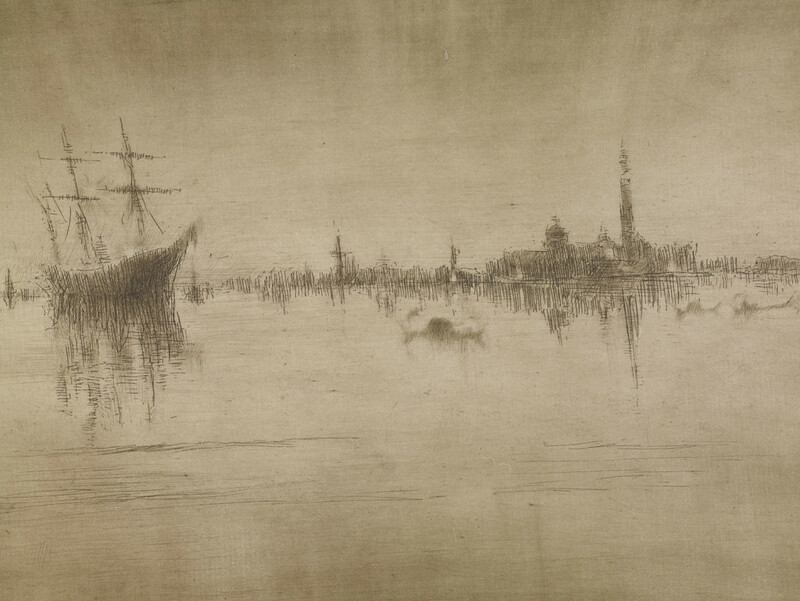 “Nocture,” an etching of the Venetian lagoon from the late 1870s, demonstrates Whistler’s proficiency as a printmaker. He creates in etched form the nocturnal atmosphere most associated with his painting. While the Lunders have been collecting art for many years, their interest in Whistler is relatively new, Corwin said. 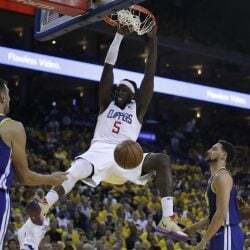 It’s only been in the past 10 to 15 years that they’ve delved deep, picking up key acquisitions whenever one came on the market. The collection is not static. Just two weeks ago, the Lunders sent Colby a newly acquired Whistler print to add to the collection. The Lunders did not respond to an interview request to talk about their attraction to Whistler. The strength of the collection is its depth, Corwin said. It allows Colby to take a concentrated look at the work itself, and how Whistler changed and evolved over time. Whistler is among America’s most important artists, she said, and because of the collection Colby is able to participate in and guide a discussion about his life and work. With the collection also comes responsibility, she added. The museum is obligated to make the collection available for the public to enjoy, as well as scholars. Colby is producing a large book that will detail the collection. The exhibition allows people “to see the world through Whistler’s eyes,” McCann said, or, as the critics said during his day, it provides a “Whistlerian” view of the world. 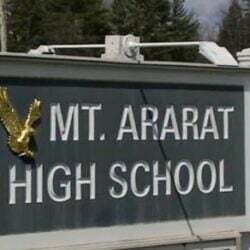 That was a compliment that Whistler relished, McCann said.